This unique design allows the fresh air to come indoors with the two large overhead garage doors that open into the great room. Working closely with build specialist Ray Greene, our customers created a home plan that sits perfectly into the Hawaiian landscape. The Hawaii building package was loaded in a container and filled with prefabricated building components which included engineered wall panels, trusses, windows, doors, siding, and roofing materials. This custom home design has stunning views and is tucked away on a rocky cliff looking out to the magical Hawaiian scenery. This homeowner build provides an open concept layout and an abundance of natural light and fresh Hawaiian air. Looking to build in Hawaii? 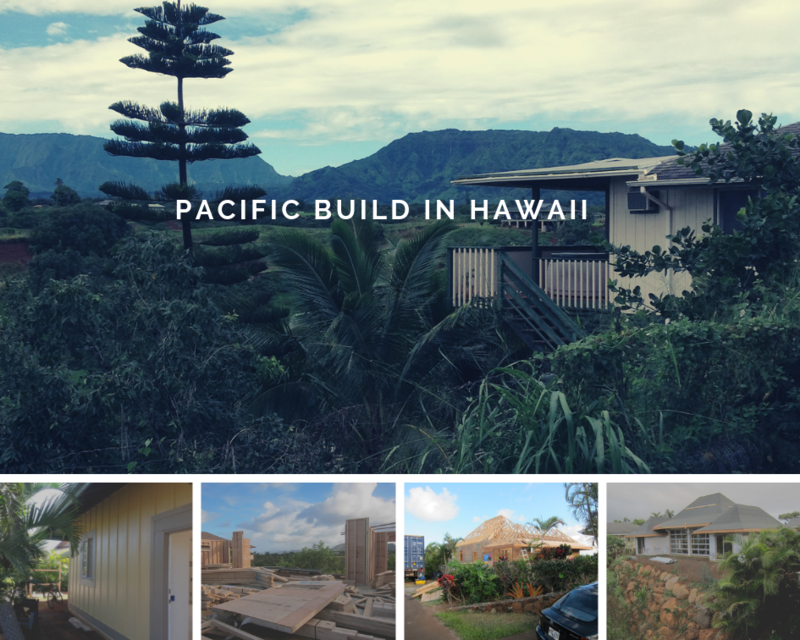 Learn more about our Hawaii building packages. Great product, quality materials in the package, delivered to us as/when due and needed. Andrew Hallet was always “on the ball” with any thoughts/questions I had and provided solutions as needed. I worked with Matt Meier @ Stryker Contracting for construction…….. I would recommend Matt as reliable, has a thorough understanding of the process and the great attitude of Stryker overall.